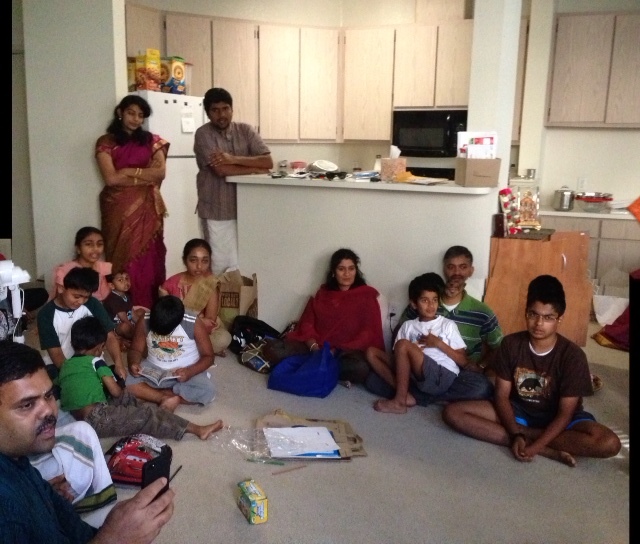 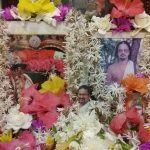 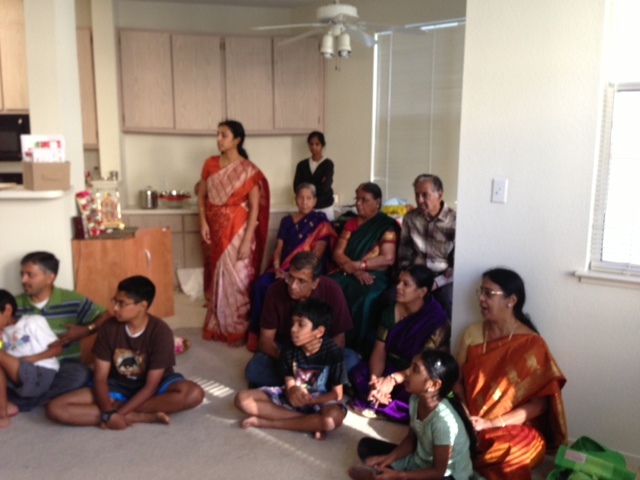 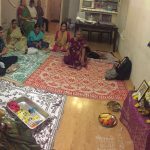 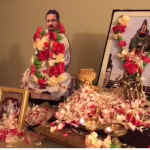 Bay Area G.O.D Chapter conducted a special satsang on Saturday, July 6th 2013 at the residence of Sri.Mukund and Mrs.Sowmya Balasubramanian. 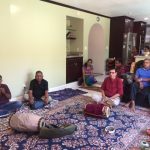 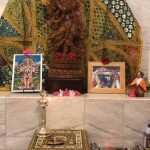 Akanda Nama Sankirtan was performed from 10am until 6pm and was then followed by rendition of kirtans composed by Sri Swamiji. The satsang concluded with a short discourse on Guru Mahima by Mrs.Ramya. Close to 35 devotees attended the satsang.